Take your weight (in kilograms) and divide it by your height (in meters) squared. You've just calculated your body mass index (BMI), one of the most commonly used indicators of health. But though appealing for its simplicity, the measure is fundamentally flawed in many respects. First off, BMI doesn't scale well. A tall man with the exact same build and body composition as a shorter man will have a higher BMI. Secondly, the measure ignores variation in body shape. Some people are slender; others are stocky. Moreover, people carry fat in different places. Subcutaneous fat just below the skin is generally not associated with a steep rise in mortality, while abdominal fat is. 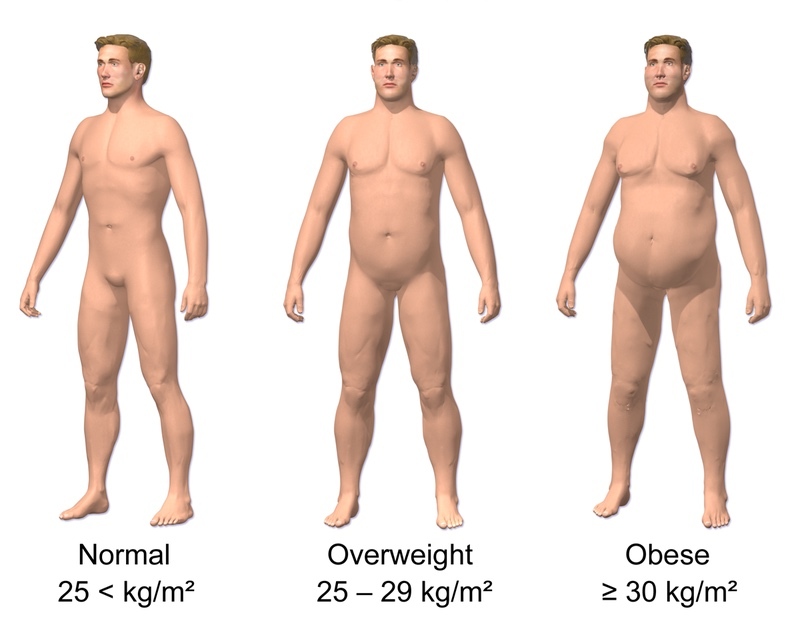 Finally, BMI does not differentiate between fat and muscle mass. This glaring drawback means that many muscular athletes are considered overweight or even obese. While those athletes probably would laugh off the technicality, scientists and health experts should take it seriously. A great many epidemiological studies use BMI as a biomarker for health, and the CDC uses it to determine how many Americans are overweight or obese. It's high time that BMI be replaced with a more accurate and nuanced indicator. In Monday's release of PLoS ONE, West Virginia University computer scientists Syed Ashiqur Rahman and Donald Adjeroh proposed a new alternative: the Surface-based Body Shape Index (SBSI). Though decidedly more of a mouthful to say, the indicator is far more rigorous, based upon four key measurements: the body surface area (BSA), vertical trunk circumference (VTC), height (H), and waist circumference (WC). After expounding on the details of their formula, Rahman and Adjeroh put it to the test, seeking to find how well it predicts all-cause mortality. They examined data on 11,808 subjects from the National Health and Human Nutrition Examination Surveys (NHANES) 1999–2004, in which the average SBSI was roughly 0.107 for women (standard deviation of .007) and 0.108 for men (standard deviation of .006). The duo found that SBSI outperformed BMI, waist circumference, and A Body Shape Index (ABSI), an alternative to BMI that garnered a lot of attention when it was proposed back in 2012. Unfortunately, ABSI seems to have mostly fizzled out, earning only 83 mentions in PubMed, the international database for biomedical science, since its inception. Over the same period, BMI has been mentioned more than 34,000 times! The new indicator, SBSI, is probably doomed to the same fate. Thus far, it seems that simplicity trumps accuracy in health research, at least as far as BMI is concerned. Update 12/30: An earlier version of this article mistated the equation for BMI. That has been fixed.